YOU skating fans who suffer from cold hands and feet in bitter cold weather, when your sport is best, will perceive instantly the service this sled-stove can do you. It can be transported anywhere, and will be well worth whatever effort you may put into it. In the sled shown, an ordinary air-tight stove was used, the legs of which were removed. On the inside a three-inch layer of sand is put down for insulation purposes. 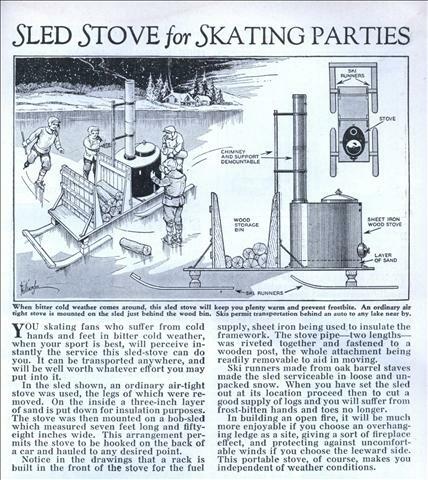 The stove was then mounted on a bob-sled which measured seven feet long and fifty-eight inches wide. This arrangement permits the stove to be hooked on the back of a car and hauled to any desired point. Notice in the drawings that a rack is built in the front of the stove for the fuel supply, sheet iron being used to insulate the framework. The stove pipeâ€”two lengthsâ€” was riveted together and fastened to a wooden post, the whole attachment being readily removable to aid in moving. Ski runners made from oak barrel staves made the sled serviceable in loose and unpacked snow. When you have set the sled out at its location proceed then to cut a good supply of logs and you will suffer from frost-bitten hands and toes no longer. In building an open fire, it will be much more enjoyable if you choose an overhanging ledge as a site, giving a sort of fireplace effect, and protecting against uncomfortable winds if you choose the leeward side. This portable stove, of course, makes you independent of weather conditions. This is actually a pretty good idea. 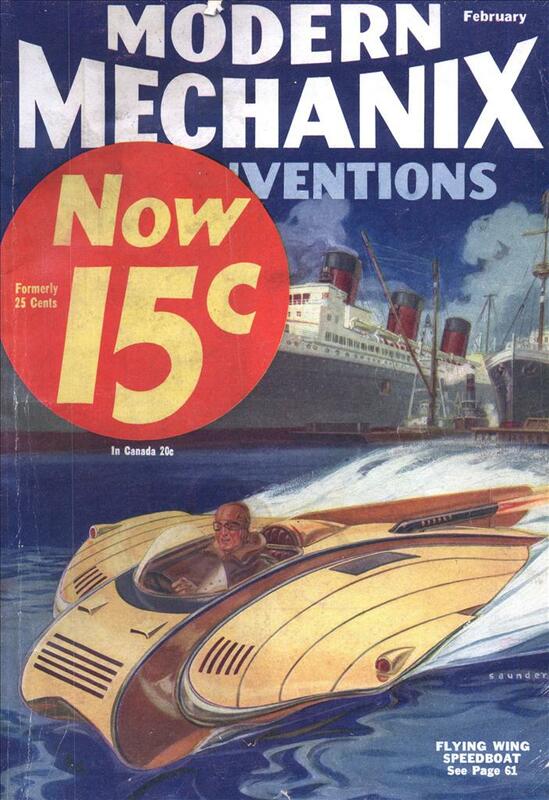 That fact that we are again seeing a drawing, instead of a picture, leads me to believe it was never built. I do not think there is much danger of heating through ice thick enough to skate on, but there might be enough heat to sink those skis into the ice which would make moving it again difficult. We used to have a couple of these at the skate rink when i was a kid. And yes after a few hours they would melt the ice and go to the turf. Thank God the rink was our flooded football field.